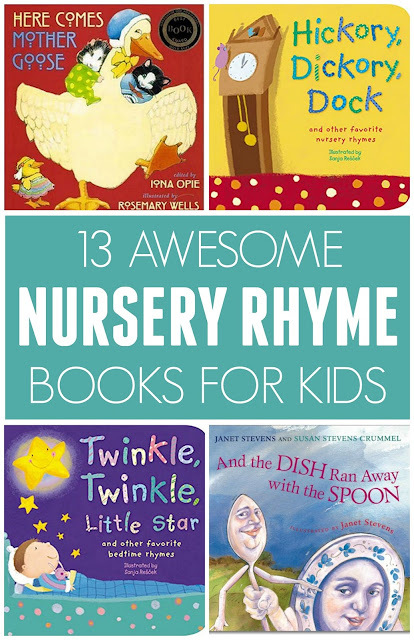 This week for our Weekly Virtual Book Club for Kids we are picking our favorite nursery rhymes to spotlight! 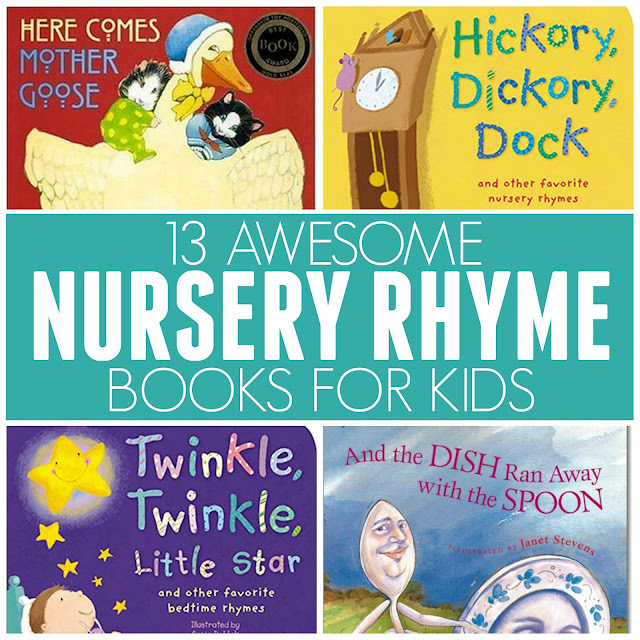 Nursery rhymes are so fun and a great way to teach kids about rhyme and rhythms. They also help kids hear sounds and syllables in words, which helps them learn to read!! We love collecting books filled with Nursery Rhymes, reading them together, and creating simple activities. This week we'll be sharing a few activities that go along with a few of our favorites! Below you'll find links to a few of our favorite Nursery Rhyme readers and treasuries in case you are looking for some books for your home! Do you have any additional books you can add to this list?